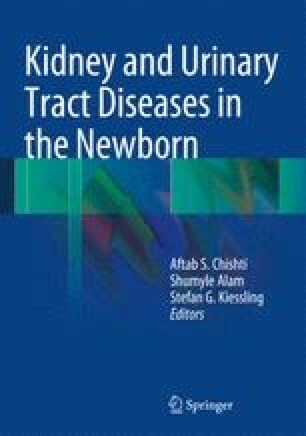 Established renal failure (ERF) in newborns and infants is uncommon. In the most recent report of the UK Renal Registry, the prevalence of children undergoing renal replacement therapy (RRT) in the United Kingdom was 65 per million age-related population (pmarp), with an incidence of 9.3 pmarp. Although incidence and prevalence data for the newborn population are not recorded for this discrete group, the prevalence of RRT in the under-twos is 21.6 pmarp. Six percent of children receiving RRT are born prematurely .